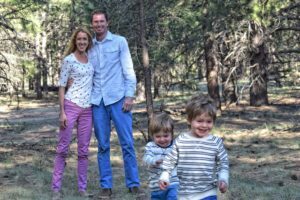 Flagstaff, Ariz.—April 1, 2018—Team Run Flagstaff is excited to welcome local professional runners Stephanie and Ben Bruce to the coaching staff for our organization’s youth program, Kids Run Flagstaff. 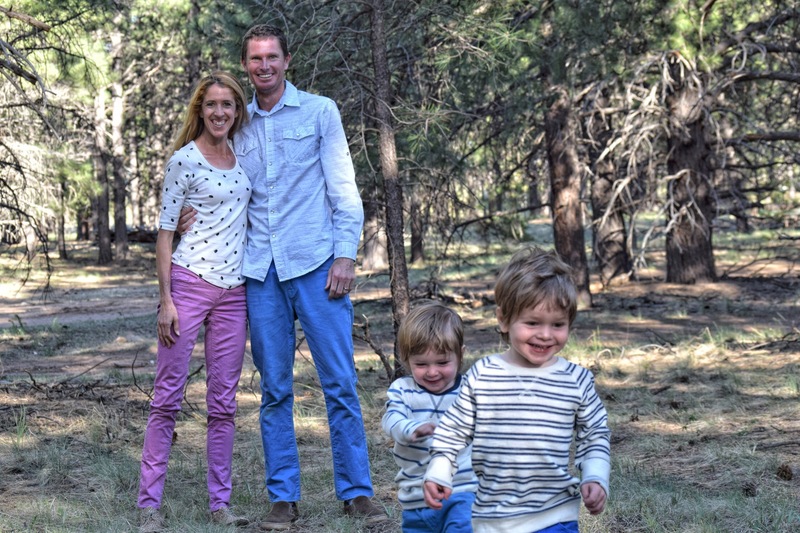 The Bruces will be leading the weekly 4 p.m. Thursday practices, which will be held on various urban trail and public park locations throughout Flagstaff. 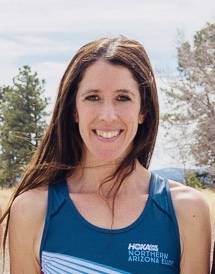 Stephanie Bruce is a pro runner for HOKA ONE ONE NAZ Elite, under coach Ben Rosario, and a mom of two toddler boys. Steph’s diagnosis of Celiac Disease in 2010 ended years of injury and illness, allowing her to thrive as a pro athlete. Special talents? She’s is known to laugh at her own jokes and has a knack for putting down serious amounts of popcorn and soda. Stephanie grew up in Phoenix, but is a native New Yorker at heart, which remains her favorite place to race. She began running when she was five, went on to compete at Xavier High School, and then in the NCAA at U.C. Santa Barbara. Outside of training and racing, Steph and Ben also coach through their business Running With the Bruces. Steph helps spread the word about Picky Bars, an energy bar company she started with fellow athletes Lauren Fleshman and Jesse Thomas. In case that all isn’t enough, she is also busy chasing sons Riley, 3, and Hudson, who is 2. It’s a jam-packed schedule, but Steph says she wouldn’t have it any other way. Ben Bruce is also a pro runner and now an assistant coach for HOKA ONE ONE NAZ Elite. He is a two-time NCAA All-American in the steeplechase and he’s raced in the last 15 USA Track & Field outdoor championships—his best finish was second place in 2010. 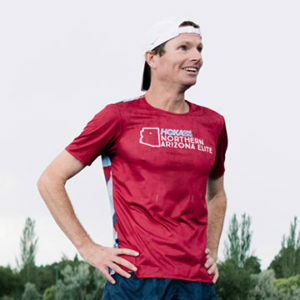 Ben has represented the U.S. at the 2010 World Cross Country Championships, the 2010 World Half Marathon Championships, and the 2011 World Outdoor Championships. A native of sunny San Diego, Ben was a Mt. Carmel Sun Devil and later attended Mesa Community College. He completed college at Cal Poly San Luis Obispo, where he earned his teaching credential. Along with Stephanie, he spends most days in Flagstaff chasing goals and dreams, as well as Riley, and Hudson. Steph and Ben agree he brings the humor to their life and is best known for his Donald Duck impersonations. Registration is always open and children are welcomed to join at any time throughout the year. A 12-month membership commences at the time of registration. During the winter, KRF practices once per week (5 p.m. on Tuesdays at the NAU indoor track). In the spring/summer and fall sessions, the program will offer two practices per week (5 p.m. on Tuesdays at the NAU outdoor track and 4 p.m. on Thursdays at various urban trail locations announced in a monthly newsletter). A 12-month membership ($185) includes guidance, support, and direction from experienced coaching staff and volunteer assistants, year-round weekly practices, team apparel courtesy of Under Armour, and opportunity to participate in local races if desired (not mandatory), and a fun, supportive team environment where kids can socialize and cultivate a love of running. The Bruces will begin their Thursday afternoon KRF practices on April 26, 2018.